This Sunday we'll be reading Numbers 22. Balaam's donkey will be speaking, so this is one lesson you don't want to miss! 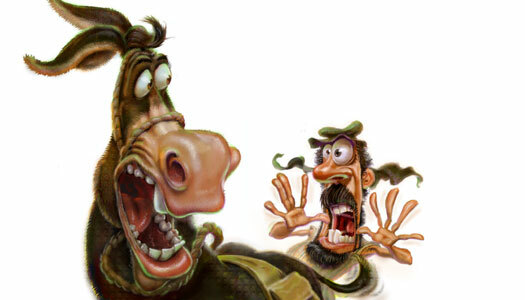 The donkey saved Balaam's life, but made Balaam look foolish and embarrassed in the process. Have you ever lashed out at someone when you were embarrassed or hurt? If your family pet could talk, what would it say?